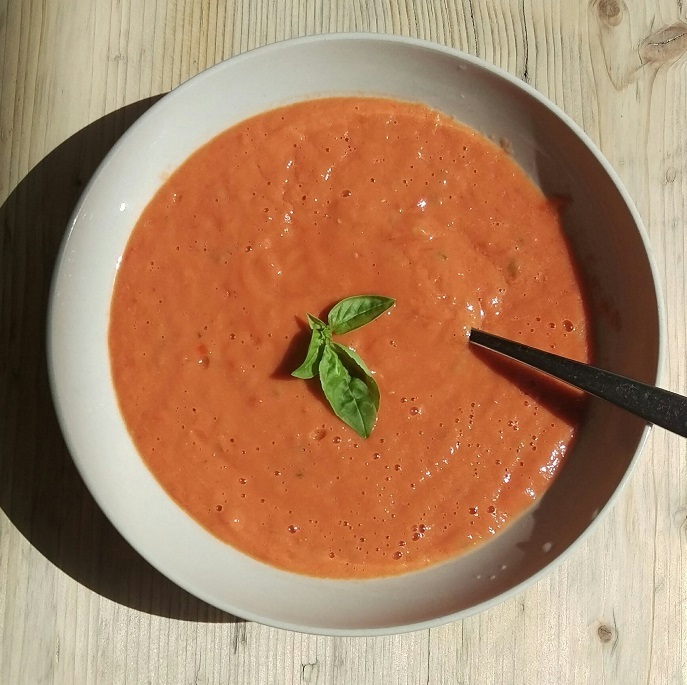 When tomatoes are ripe and in season tomato soup is one of the most easy and delicious things to make. This is my current favourite recipe, and literally takes 1 minute to make. The tomatoes have enough juice so there is no need to add any extra liquid. Blend altogether until very smooth, and serve. When using a powerful blender like the Vitamix its not necessary to cut the tomatoes before putting them in the blender. Just use the stamper to push them into the blades.